Theatrical makeup set in lockable wooden box to be used for casualty simulation (faking) exercises. Box has handle, a hinged lid, and multiple compartments including a drop-down front and internal tray containing equipment. 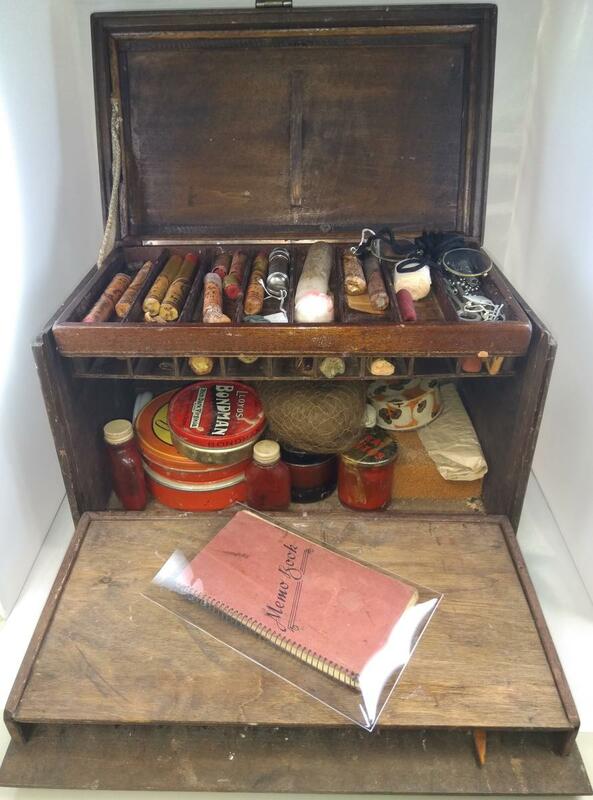 Items inside include tins, bottles, crayons, candle, sponge, wig, spectacles, memo book, ARP whistle, and key as well as various implements presumably to add texture to wounds. Slide lock across to release catch to open.